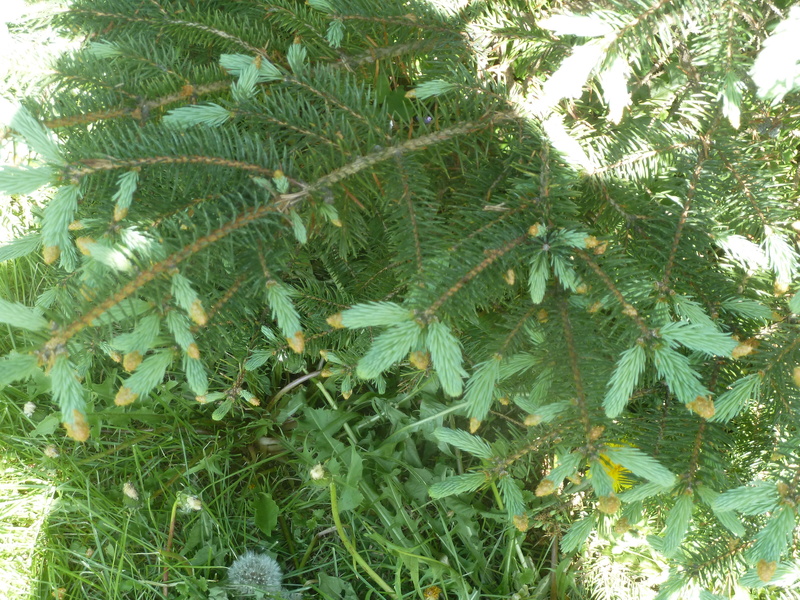 I learned about pine tip syrup and spruce tip syrup on a wild foods walk a few years ago. Since then, I’ve made the spruce tip syrup several times because I have lots of spruce trees on my property. You need to make this in the spring when the new growth emerges from the ends of the branches—the light green tips. The flavor has been described as citrus-y, and I think that’s accurate. It smells like a Christmas tree while brewing, but the flavor of the final product is closer to a lemon. Bring to a boil 2 cups water and 2 cups sugar. Remove from heat and stir in 2 cups fresh spruce tips. Cover and let sit over night. Strain through a coffee filter into clean jars. This should keep for 3-4 months in the refrigerator. I mix the syrup with seltzer water, ice, and a squeeze of lemon juice to make a refreshing summer drink. It’s great on a hot day. You could probably use the syrup to flavor just about anything you cook. I bet it would taste great poured over sponge cake. 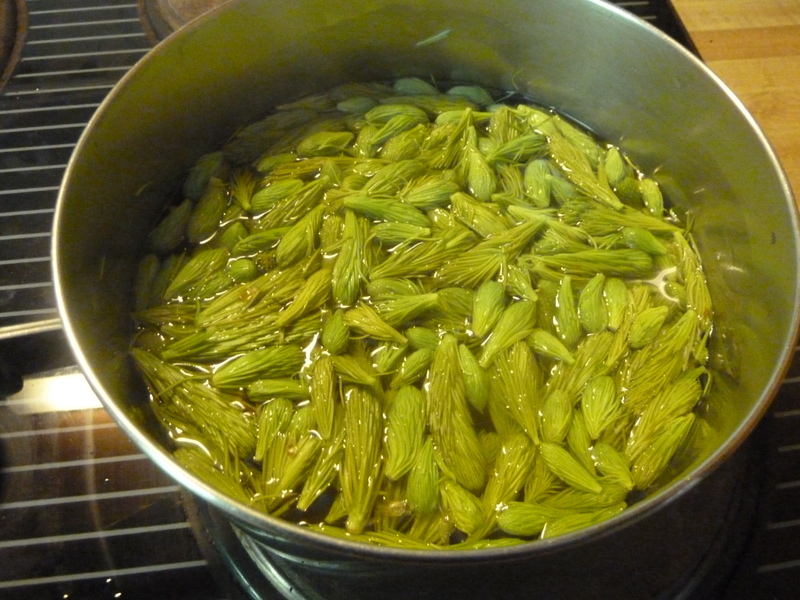 This entry was posted in wild foods and tagged recipes, spruce, syrups, wild foods. Bookmark the permalink. I have a Blue spruce and two Alberta spruce , can the tips of them be used? I am not sure but I would guess yes. I don’t know what kind of spruce my trees are.